The DS-Z3 is an easy to use, computer based digital signage machine with support for up to 3 content displays. 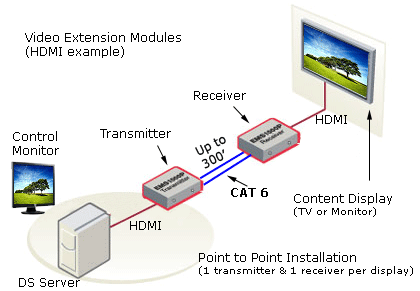 This simple, yet powerful system allows you to push information out to a monitors or large screen TVs. One monitor is used as the ‘control monitor’ to manage everything, and the other video port is used to display your content. 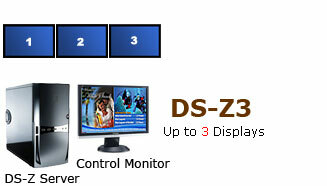 Set up your DS-Z3 Digital Signage System. 3 x TVs or monitors to display your content (content display).